The Backyard Wildbird and Nature Store: Nanaimo bird Report, August 12, 2018. 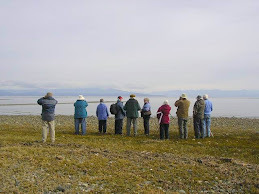 The Sunday bird walk went to the Nanaimo River Estuary in south Nanaimo. The morning was cloudy and quite warm. 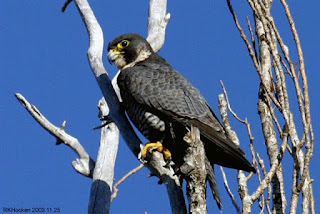 We spotted a Peregrine Falcon perched high up in a very tall conifer tree at the start of the walk. Two Greater Yellowlegs were seen along the shore of the river and two more were seen feeding on the estuary not far from the trail. 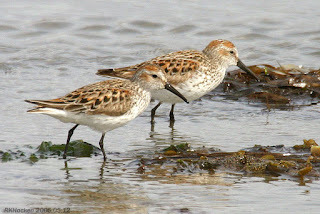 A pair of Western Sandpipers landed in a pond very close to us. A Red-tailed Hawk was seen in a tall tree next to the Estuary. A very large flock of Barn Swallows flew overhead hawking insects for most of the morning. Many Common Ravens and Northwestern Crows entertained us all morning. The Sunday bird walk on August 19, 2018 will be going to Linley Valley in Nanaimo. Meet at the Backyard Wildbird and Nature Store, 6314 Metral Drive in Nanaimo at 9:00 am or at the Burma Road entrance to Linley Valley at about 9:20 am.